Pretty cool, eh? Here’s the twist: This image is a stylized collage by Pawel Niziolek created as an homage to Scythe artist and worldbuilder Jakub Rozalski. A few weeks after I drooled over this illustration, I got a message from an artist. He had plenty of experience in other fields, but he wanted to break into the board game industry, and he wasn’t getting any commissions from the publishers he reached out to. 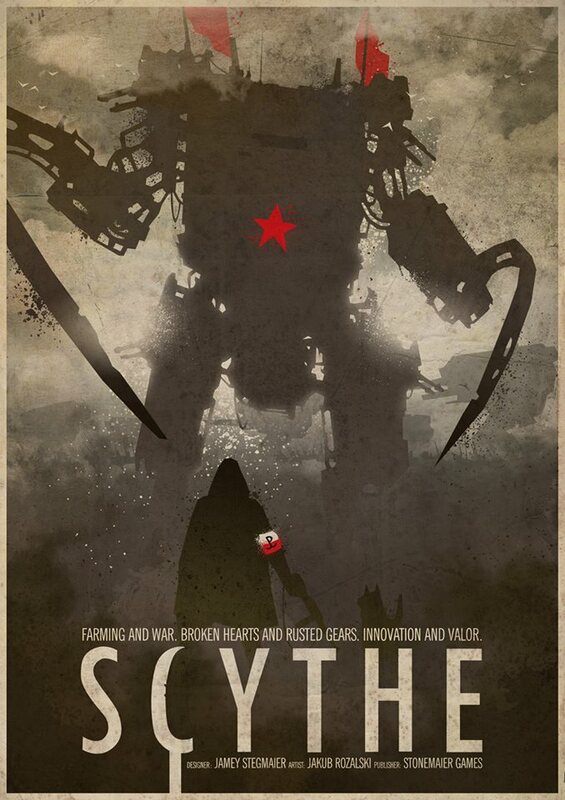 My mind drifted back to the fan-made Scythe poster, and I offered this advice: Look through the BoardGameGeek top 100 and select a game with less-than-average box art (or just pick a game with great art, as was the case with Scythe), then illustrate your own version of the box as an homage. Share the image on BoardGameGeek, Facebook, and other places where people talk about games. By doing this, you’ll help publishers see your talent through the lens of board games. Sometimes we need this. This same method works for graphic designers trying to break into the industry. 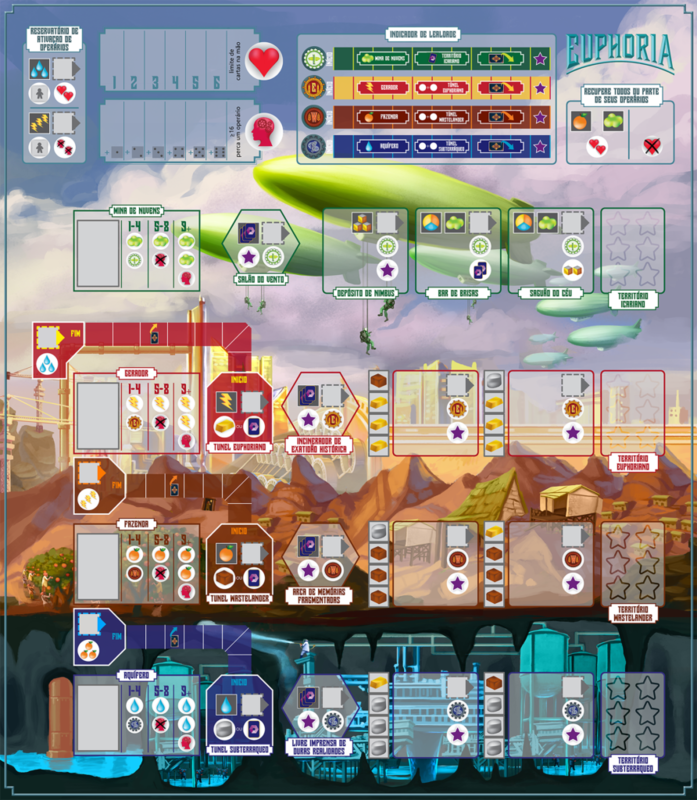 There are plenty of games with subpar graphic design–choose one aspect of them (maybe the card or rulebook layout), redesign it, and share it. I had this happen a few months ago when a graphic designer (Diego Sa) restructured the Euphoria board for fun. As a result, he’s now involved in the expansion. Of course, don’t be a jerk when you share it–be respectful of the original property, and say that you wanted to share your twist on it. There’s a fair chance that the original publisher will see your post. The common thread is that you’re demonstrating your abilities via the flattery of imitation. It’s not just to catch the idea of the original publisher–it’s to capture the attention of any publisher. If you want to display your abilities to write/proofread rulebooks, take a rulebook of a game you love and either redo it or make a quick-reference guide for it. This is how I met Nersi Nikakhtar, whom I’ve since paid to create quick-reference guides for almost all of our games. If you want to show your video-creation abilities, do what Josh McDowell did to impress me for the Scythe video: Without being prompted to do so, he took a single image from the game and animated parts of it to make it come alive. If you want to show your game design abilities, design a promo card or even a small expansion for a game. That’s how The Wind Gambit began (Kai Starck shared rules and playtest results of an airship module for Scythe). My perception is for most industries that getting your foot in the door for one project is much harder than getting a second or third project. While there are various ways to do this, I believe in the method of using the flattery of imitation to help publishers see your work in their world. Have you used any of these methods as an artist, graphic designer, etc? 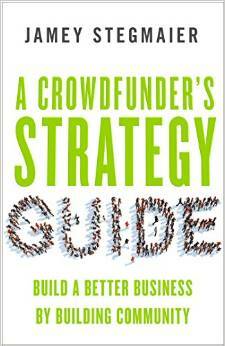 Or have any publishers met talented people through these methods? Yup, it works. I redesigned a game board for fun, sent it to the publisher, and now I’m involved in the design and art direction of the game design production. Fantastic advice! I would also recommend that you get involved with your local playtesting group and help some of the people there with their demo copies. I got into doing graphic design for board games by being at our monthly playtest meetup group. A couple of guys that were just about to do a Kickstarter lost their current designer and I was there to pick up the pieces. Now I have done the design for 2 expansions, and am currently working on 4 other games for 2 other companies. If you are good, once you get in, you are in. Excellent point, Brian–there are some amazing connections to be made when you seek to help other people first. 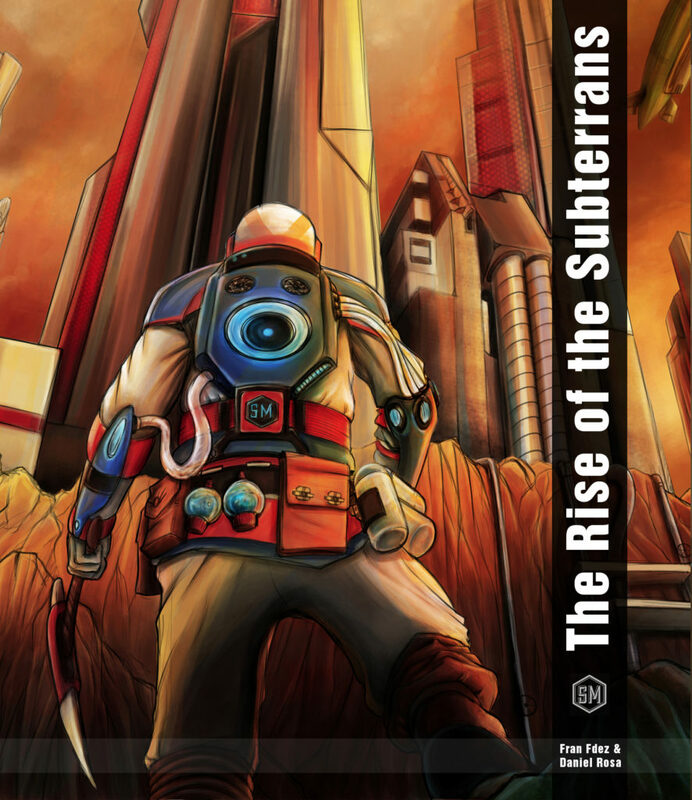 I’m going to add a link to my article about that to the bottom of this post (https://stonemaiergames.com/kickstarter-lesson-74-help-them-first/). That’s how I noticed Kwanchai Moryia a few years back. He had done a redesign for Ogre and for Melee, and I liked that art a lot. When I started thinking about the art for Rumble in the House and Rumble in the Dungeon, I already knew I wanted him onboard. It worked wonders, and it helped him get more commissions from other publishers, to the point now where he’s a famous boardgames artist. That’s awesome to hear! I think it’s neat that you connected with his work that way–he is extremely talented. It’s easy to get caught in the mindset of what we do, game design or otherwise, as ‘only’ a hobby (e.g. imposter syndrome), but to the right person it could mean something more. I look forward to checking myself outside myself every once in a while and continuing to sincerely flatter in the [near] future! Excellent timing, Ben! :) I like that way of looking at what you create. I think that I may have shared this story with you, but it seems apt to retell it in light of this post. About eight years ago, a friend asked me to play-test some war games and I enjoyed myself and the process so much that I’ve worked on more than three dozen games for Decision Games’ magazines Strategy & Tactics and Modern War. a few years later, I found Board Game Design Forum and actively reached out to new designers/developers on Kickstarter. Since then, I’ve reviewed rules for Randy Rathert’s The King’s Abbey, RedImp’s Martians: A Story of Civilization, and Academy Games’ 878 Vikings to name a few); play-tested games or expansions including your titles, Charterstone and Scythe’s Invaders from Afar; and served as a Developer for Compass Games (The War: Europe 1939-1945 expansion and The War: Pacific 1941-1945). This led to me serving first as the developer and then sharing the designer titles with Mike and Stan Strickland for my first published game, TAU CETI: Planetary Crisis. In short, if you have a skill and the time to share it with others, this os one of the most inclusive industries I’ve ever seen. Maybe because of the incredibly thin margins, everyone knows that there’s not a ton of money to be had, so people work with others borne out of passion instead of profit. Because of that, I’ll continue to help others as long as I’m able to do so. The core of what you’re saying though holds true: be genuinely interested in what other people are doing and they will be genuinely interested in you. It doesn’t matter what field you are in or want to be in, genuine interest goes a long way. Stephen: I agree 100% with the power of genuine interest! Well said. Wholeheartedly agree! This is sound advice! In fact, this is how my own first published design came about. In the summer of 2015, as copies of Exodus: Edge of Extinction were being delivered to Kickstarter backers, I eagerly played my copy as soon as it arrived. Even before the release of Edge of Extinction, Exodus: Proxima Centauri was my favorite game of all time. Naturally, I had high hopes for the expansion. I was over the moon! Edge of Extinction was everything I had hoped it would be, and more! My mind was running wild with hopes and ideas for what might come in a future expansion. Not only had Exodus: Proxima Centauri become more solidified as my number one game, its relevance as a prominent game had become reaffirmed. I took notes of some of the thoughts and ideas I had. As time passed, I returned to my notes to make comments and develop the ideas further. After a few short months, I decided to share these ideas with one of the game’s original designers, Andrei Novac. I really had no specific expectations with regards to the response. Maybe other expansion ideas were already in the works, or maybe he and the team at NSKN Games had altogether different ideas of where things should go next. To my pleasant surprise, Andrei responded that he liked my ideas and asked that I would elaborate on how I envisioned them fitting into the game. Today, Exodus: Event Horizon is a published expansion! I’ve got my fingers crossed I can do the same, Rainer, thanks for the inspiration and congratulations!